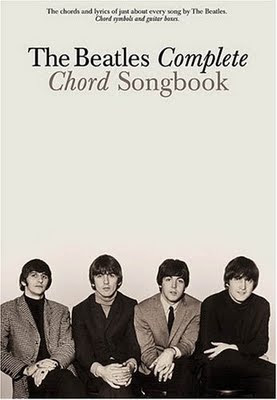 Here's my review of one of the key resources I'm using to work through the Beatles songs here at BSA. One thing I didn't mention is the order of the songs can be a little frustrating as it's 'nearly' alphabetical. A lot of songbooks suffer from this. It's a page saving device - whenever a three page song appears they slot it in next to a one page song to save on paper. I'm not sure how much bigger it would make the book if they just put a blank page in, but at least now you know why! Oh and if you're planning to get it (or anything else) from Amazon you could really help me out by clicking on the link below - it means Amazon will pay me a minuscule fraction of whatever you spend there - which means more Beatles books for me and more reviews for you. Win/win people - that's how I roll! Hey Matt, I am digging the video review! You should do more of these! Thanks Nick - I have another one in the works!